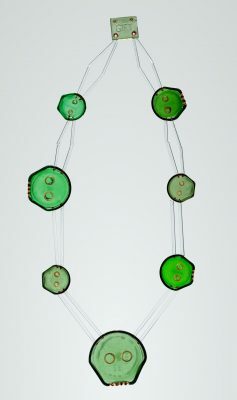 As we celebrate all things Irish for St. Patrick’s Day, here are a few green glass objects in the Museum’s collection. 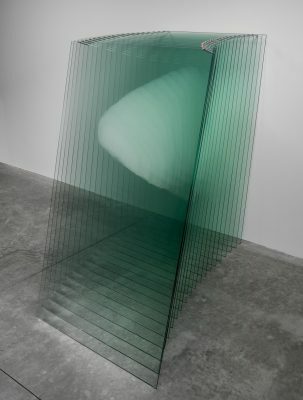 Sheer Volume, Michael Scheiner (American, b. 1956), 2010, Central Falls, R.I., 2014.4.1. Gift of the artist. 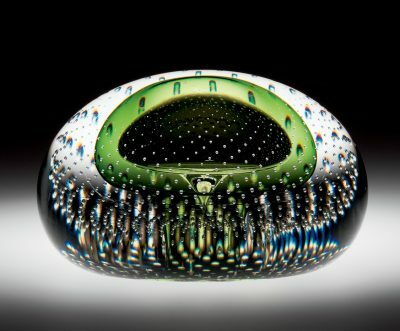 © The Corning Museum of Glass. 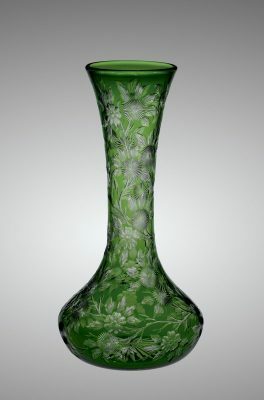 Green Rock Crystal Engraved Vase, C. Dorflinger & Sons (manufacturer), Walter Graham (engraver), about 1903, White Mills, Pa., 2010.4.14. Tantric Object, Bernhard Schobinger (Swiss, b. 1946), 2015, Richterswil, Switzerland, 2015.3.15. 30th Rakow Commission. 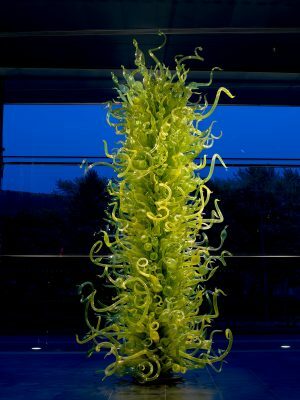 © The Corning Museum of Glass. 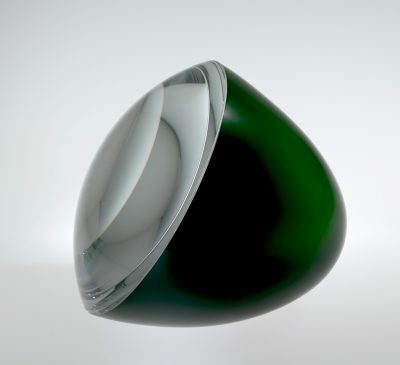 Paperweight with Green Bubble, Val Saint Lambert (manufacturer), 1950-1960, Seraing, Belgium, 78.3.137. Gift of the Honorable and Mrs. Amory Houghton. © Val Saint Lambert. 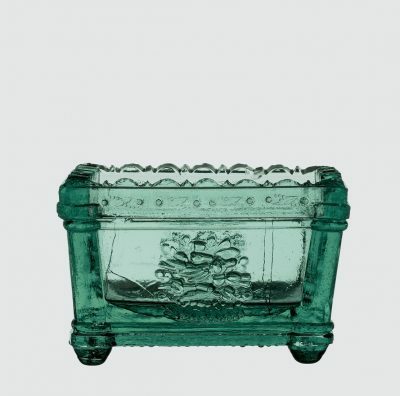 Green Salt Dish, Jersey Glass Works (manufacturer), 1830-1839, Jersey City, N.J., 2007.4.35. 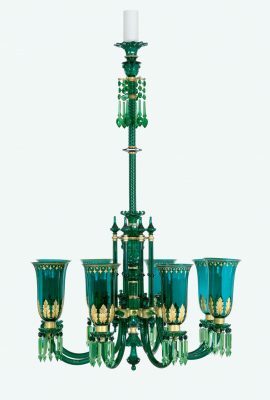 Chandelier, F & C Osler (manufacturer), about 1860-1880, Birmingham, England, 95.2.13. 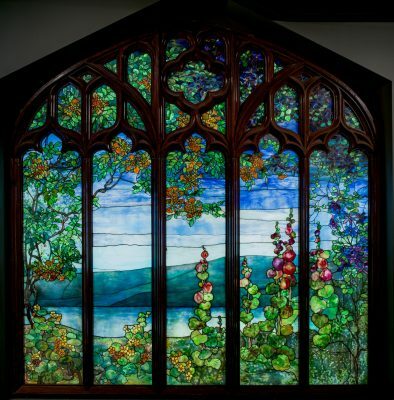 Window with Hudson River Landscape, Tiffany Studios, 1905, Corona, N.Y., 76.4.22. © Louis Comfort Tiffany. 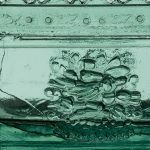 If you like these, you might want to check out our Green Glass Pinterest board. Erin go Bragh!